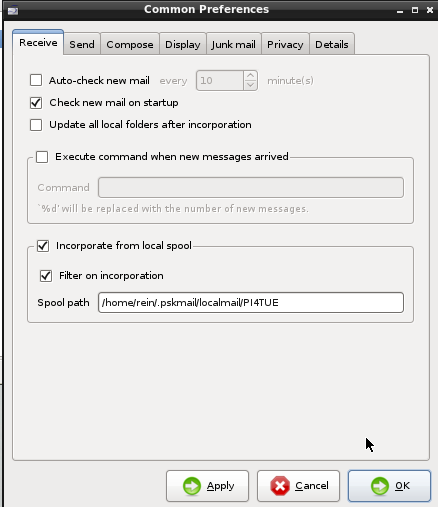 PSKmail server 2.0.4 can now receive local mail from a form on the pskmail.org web site. That comes in handy when a user wants to send you a local mail. But how do you read it? mail reader can use this as a spool, and integrate the local mail into your regular mail. 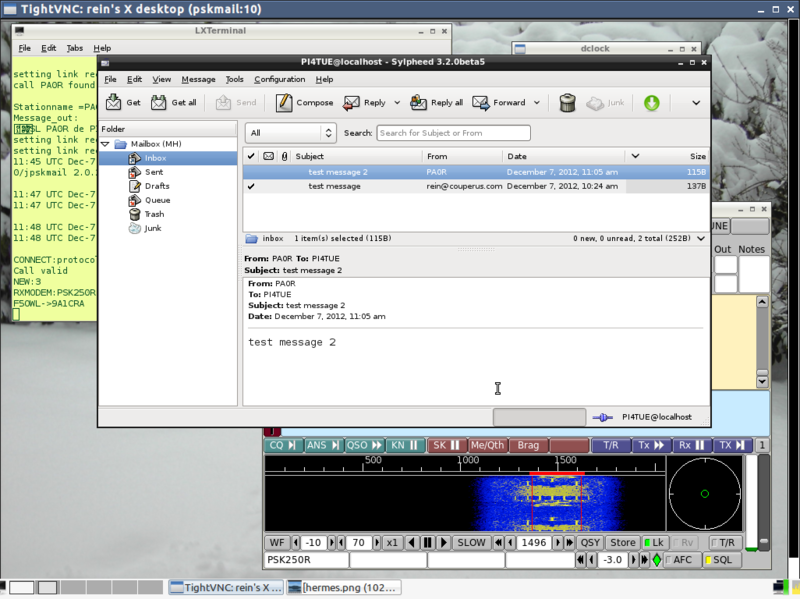 The above is an example using the sylpheed mail client on PI4TUE.